I have spent several years working in the Banking Software Industry, first for a software supplier (Fidelity Information Services), then moving on to a Financial Services service supplier (VocaLink Ltd). I have now moved on to contract work. I started my career as a developer, moved on to Software Architecture, project management and now Programme Management. Specialties: Retail/Business/Commercial/Corporate Banking Change Programmes t include Business & IT Change. Current focus is Mandatory Payments Programmes. Having experience working within the Mobile Money Space for a leading Mobile Network Operator and within Digital Financial Services for a Bank, Kevin has had an excellent opportunity to see and feel both sides of the coin. Currently he is the Product Manager – M-PESA at Safaricom. He previously led Innovation and Digital Strategies at National Bank of Kenya and Orange Money at Orange Kenya. 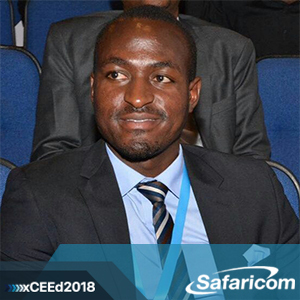 In his roles he has readily offered his services and expertise in the highly dynamic fields of information technology, telecommunications and currently concentrating in digital financial services. An avid innovator driven by the ever changing market and client needs, with a keen eye on financial inclusion. A firm believer that digital financial services are only transformational when they are part and parcel of the user’s life. Previously, Robert achieved success as a senior legal professional specialising in card and payments law. My personal role is to inspire, challenge and enable people to go way further than they currently believe is possible. My business bibles? The Catalyst Code by David Evans and Richard Schmalensee. And Thinking, Fast and Slow by Daniel Kahneman. I’ve spoken at conferences all over the world, including South Africa, Germany, USA, India, UK, Singapore, Italy, Turkey, France, Netherlands, Sweden, UAE and Spain. The only place I stop enthusing about payments is when I’m climbing a serious hill on my road bike. I sometimes speak at schools about what it takes to be an entrepreneur (“It’s the future for the UK”). Sundays are spent coaching and refereeing children’s rugby. Proud parent of three future entrepreneurs. Fan of travelling on business and pleasure. And adoring husband of the long-suffering Tory. Specialties: Being a catalyst for breakthroughs. Innovating. Inspiring. Creating. Shaping. Delivering. Selling. Keeping young thugs at bay on the rugby pitch. And grinding my bike up mountains in spite of it all. 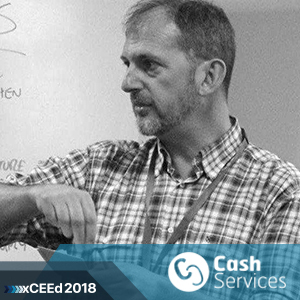 David Hensley has been Director of Cash Services UK since 2012. With over 25 years’ experience in senior management with Santander covering business transformation, operations and customer services, he has also held non-executive roles with two leading financial services providers (Link & BACs). Cash Services provides the vision and thought leadership for the strategic and operational management that underpins wholesale demand for cash within the UK. Cash Services ensures that cash can circulate efficiently and effectively and that the risks in the cash cycle are managed accordingly. David has a consistent record in Payments, Fraud, Risk, Compliance, Security as well as innovation demonstrated by several Payment Industry firsts. With 30 years in software development and live service operations covering design through operation of mission-critical, high availability, secure systems for Tier1 e-Commerce Merchants, Payment Processors and Banks. David built and operated the first European Person-2-Person Payment system, instrumental in the genesis of the first European e-Money Issuer license. This led to the first European Bank to go live with P2P Payments (PayPal Europe / “Way2Pay”) for the ING Bank E-innovation centre. Whilst there, David then built the first Mobile payments solution for PostBank, brand name “Tootz”, successfully gaining audit and certification from the Dutch National Bank. David subsequently founded E2 Technology Partners where he innovated the first security and authentication model for iDEAL, which was the first Bank payment system to replace Credit Cards with an online re-direction to the Customers Internet Banking. iDEAL took over 90% of Online Card volume in Holland within the first year and was then copied across Europe having proven the model, which is now de-facto. Having sold E2 and relocated to Gibraltar, in 2008 David innovated the first Credit Card Tokenisation solution to gain PCI Compliance for a Level 1 E-Commerce Merchant processing more than £1B. In Gibraltar, David became founder and CTO for Intelligent Payments Group, building and operating the first real-time Fraud system built entirely from the merchants’ perspective for the Online Gaming industry maintaining 100% up-time SLA processing more than £2B per year. Anna is in charge of Yandex.Money’s international business development, in particular expansion into foreign markets. Having worked for some of Russia’s largest e-commerce companies, including Mail.ru Group and Xsolla, she has a strong expertise in online payments for digital goods, retail, and gaming. Anna frequently delivers talks at e-commerce events worldwide, shaping global awareness of current trends in e-commerce and payments. She is often asked to contribute to Russian and foreign e-commerce research reports. Anna is particularly knowledgeable about the Russian-Chinese cross-border market; she is both a Chinese-speaking expert, as well as a hands-on manager who has been building bridges between the two e-commerce markets for over a decade. Anna has 18 years of experience in the financial and payment services industry gained in Poland and CEE (Citigroup, T-Mobile, mBank). She was also a CEO of one of the leading Polish payment institutions and acquirers. Anna’s expertise lies in digital payments (mobile, cards, wallets), acquiring as well as cognitive banking. 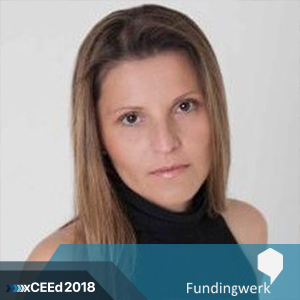 She is responsible for building cooperation models between financial corporations and fintechs, particularly in frames of the open banking and payments projects as well as driving innovation in the European payments ecosystem. 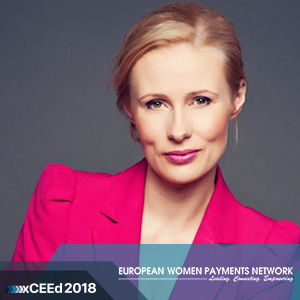 She introduced one of the first online payment gateways in CEEMEA region as well as the first digital wallet and mobile payment solution. Managed also the implementation of the first mobile banking app and the first local mobile payments initiative. Anna is involved in financial education and inclusion projects as well as mentoring (PwC CEE Startup Collider, Ashoka). 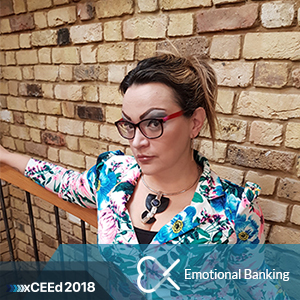 She is an Expert at the Banking Technologies Forum (Cognitive Banking Group) at the Polish Bank Association, Expert Member of the Jury at the EU European Innovation Council (SME Instrument), as well as of the Jury of the CEE Capital Markets & FinTech Awards (“Connecting Great Companies with Smart Money”). 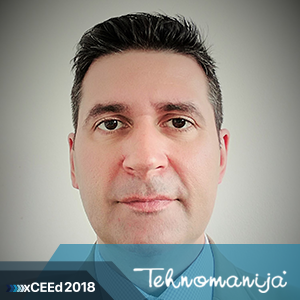 Speaker and Advisory Board member at international FinTech/Payments conferences (xCEEd 2018). Featured in the “TOP 20 Women in FinTech” Report (Institute of Innovative Economy, March 2017). In 2012 Noémie Papp joined the European Banking Federation. 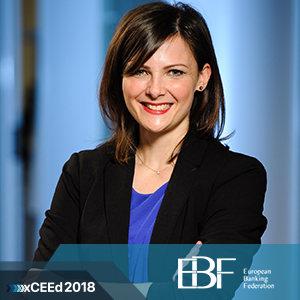 Noémie is head of Digital and Retail and leads the EBF strategy on digital and retail including on cloud computing, e-identification, data, FinTech etc. Prior to joining the EBF, Noémie worked for almost two years in a worldwide public relations and public affairs consultancy in Brussels. Previous to that experience she completed traineeships at the European Commission at Directorate General for Competition in a State aids Unit and with the French Competition Authority in the Cabinet of the President and the legal service/European Competition Network. From 2013 to 2015 Noémie was visiting lecturer in EU Litigation and advocacy at the Paris Bar School presenting, inter alia, a case study on data protection and financial services. Noémie obtained an LL.M on Competition law and economics from the Brussels School of Competition in Brussels and a Master II (equivalent to an LL.M) in European Litigation from the Université Panthéon-Assas Paris II in France. She is both a French and Hungarian national and speaks regularly in high-level conferences. Nealle is the Payments and Fraud Guy at Ocado, the world’s largest online-only grocer. 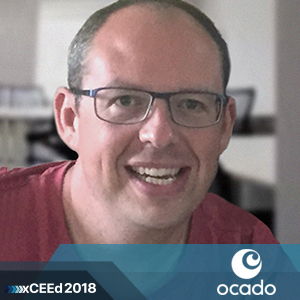 Product managing all payments and fraud systems across ocado.com as well as the new Ocado Smart Platform (Ocado’s turnkey solution for online grocery fulfilment) bringing experience from around the payments space to online commerce. He is a product management professional, with global experience in issuing, acquiring and new product innovation and now also the merchant space. An expert in NFC, Global Platform and tokenisation, the components that power Apple Pay and Google Pay. Nealle now works with his peers to build the best online and mobile shopping experience as well as a team of fraud prevention specialists to reduce risk and keep fraudsters at bay. 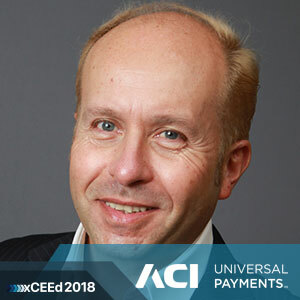 Having Joined ACI in 2016, he is performing the strategic role of Principal Consultant Immediate Payment, supporting the European Financial Institutions in the Instant Payments field, in the Cross-Board Payments, in the Liquidity and Settlement Management and helping Banks and PSPs building their Instant Payments business case. Head of the „Payment Systems and International Business Applications Department” at the European Cooperative Banks. Main activities: design, develop and promote all initiatives related to Payments Applications, Payments Regulations and foreign business. Accountable for delivering products and services to increase the International markets presence. * Member of the Future Development Group EBA STEP 1 – Paris. 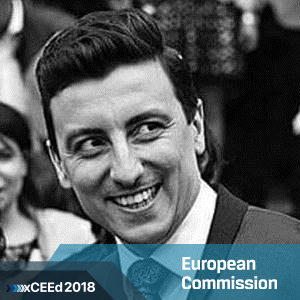 Catalin works as policy officer within the European Commission’s Directorate‑General for Communications Networks, Content and Technology (DG CNECT). He is a tech enthusiast, always searching for new trends in startups, innovation and blockchain technology. Catalin is a connector and actively contributes to the development of the EU Blockchain Observatory and Forum and Startup Europe Initiative while having a special focus on the CEE and Western Balkans regions. John is passionate about helping businesses succeed; especially in a post Brexit period of uncertainty. 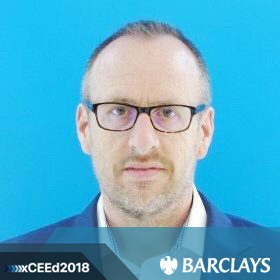 Accomplished as a systems integrator, John’s experience in transforming enterprises leveraging digital solutions began when he was the Head of Change and Transformation for Barclays Europe where he led the digital transformation for the Premier segment in Portugal, France, Spain, and Italy. John’s subsequent digital roles include Chief Operating Officer for Digital Banking at Barclays and his current role as Head of Digital – Business Banking at Barclays where he is accountable for the creation and execution of the digital strategy encompassing channel, products and experiences for clients. 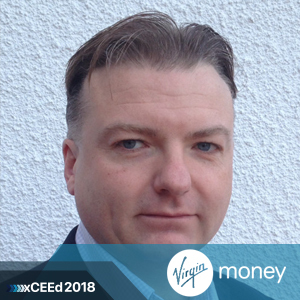 Prior to relocating to the UK, John has also held various technology product and delivery roles in the USA with JP Morgan Chase and as a Principal Consultant with Cap Gemini Ernst & Young with engagements at Enron, Starbucks and Blue Cross. Oli leads banking and borrowing products for Metro Bank’s retail and private business. He’s been in retail banking for a decade having joined HSBC UK in 2007 in a variety of proposition and customer insight roles, later leading Savings and FX for the three UK brands (HSBC, first direct & M&S Bank). Before moving to Metro Bank in March 2017, he spent 6 months at a start-up fintech and brings the breadth of knowledge across UK large incumbents, start-up banks and challenger brands. Andrew joined JCB in 2016. As Senior Vice President of Sales & Marketing, he leads the issuing, acquiring, marketing and communications team for JCBIE in Europe. He represents JCBIE at EMVCo and The European Card Stakeholders Group and leads JCBIE’s vendor management. He started his career working for the global energy giant Chevron. Over the next two decades, Andrew held numerous positions in London, New York, San Francisco and Singapore culminating in him leading the global card marketing and sales and loyalty team. 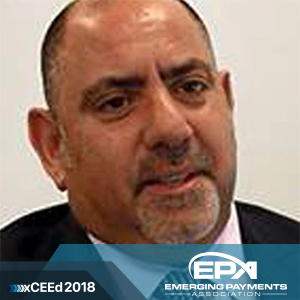 In 2005 he joined Visa International as Senior Business Leader and head of retailing – working with global merchants to drive acceptance and acquiring across the CEMEA region. In 2009 he joined Visa Europe as Vice President of merchant acceptance and Visa acquiring services. He played a key role in deployment of contactless payments in support of London 2012 and led the drive to transform Poland’s contactless adoption – making it Visa’s highest contactless penetration market. Prior to joining JCBIE, Andrew established Flotta Consulting Limited – a bespoke consulting practice, working with global merchants, card schemes, acquirers, fintech start-ups and banks in strategy development and execution, product design and deployment. Andrew is a Fellow of The Chartered Management Institute and amongst other professional qualifications, holds a post graduate Diploma in Management Studies. He is based in JCB’s European HQ in London. Svetlana is a seasoned and internationally experienced manager whose 17 years of professional tenure spans across pharmaceutical, environment protection and financial service industry. 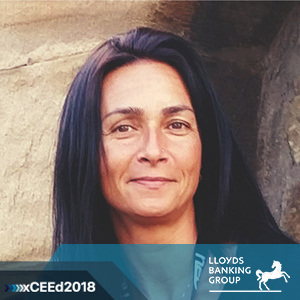 Currently deploying her expertise and knowledge on an interim basis – helping existing and emerging financial services providers take the next steps in digital evolution. In her career she successfully led teams through complex, disruptive and innovative product designs, business and technology changes, turning ideas into deliverables by applying an adaptive and customer focused approach and high business ethics. Svetlana creates and delivers solutions for banks, payment networks and start-ups in today’s digital world. She is responsible for the successful launch of the first Vodafone mobile wallet, the IPS payment platform and various financial products and services. Svetlana is passionate about all digital and in constant lookout for a problem to solve. She enjoys challenging programmes that bring positive change to organizations as well as launching new and innovative products and services to the market and always strives to achieve maximum value for clients and a positive user experience for customer. Svetlana is an active Emerging Payment Association (EPA) ambassador and a member of the EPA Annual Award judging panel. In addition Svetlana works as a coach specialising in Personal Development and Business & Executive coaching. She enjoys capturing the moment with her camera above and under the water and cares deeply about animal welfare and protecting the environment. 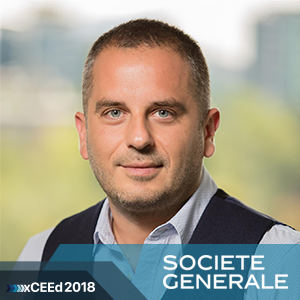 Vuk leads retail business as member of Societe Generale Srbija Executive Board, pursuing digital transformation in banking and finance. Through his progressive career he was in charge of different assignments from strategy, marketing to operations, and has been developing SocGen franchise across Europe (Russia, CEE). He provided critical leadership in launching the first online branch in the Balkans and pioneered cross-sector partnerships for growth of digital and startup ecosystem. I am a banking and payments consultant providing advisory services to banks, financial services companies and startups. My speciality is cross-border money transfer and all aspects of the value-chain associated with it. I cover all industry verticals within the x-border space: B2B, B2C and C2C (remittances). I have extensive knowledge in the design, integration & running of payment networks and systems for money transmission between different countries. I am extremely versed in all aspects of the value chain for x-border funds movement: licensing, regulatory frameworks, banking, payment networks, processors, compliance, etc. Deep understanding of the mechanics involved in money transmission, from the old, new and emerging methodologies (eg: blockchain, ethereum), including value-transfer using alternative currency methods. Highly knowledgeable in areas related to financial regulators, access to banking, money transmitter / authorized payment institution licenses, processing and settlement partners, solving complex AML, KYC/CIP and CFT related issues. Over 4,900+ answers published on Q&A website Quora related to banking, fintech, payments & payment systems. Co-Host of Fintech / Banking & Payments Podcast. I’m also a scout for various Venture Capital companies who want to invest in fintech, banking or payments related companies. Specialties: Wire Transfer, Banking, Correspondent Banking, Remittances / Money-Transfers, Electronic Payments, eMoney, Branchless Banking, eWallet, Virtual Currencies, Mobile Payments, Mobile Banking, Financial Networks, Transaction Gateways. Natalya is an internationally experienced director of Digital Media and Marketing with a proven record in the broadcast media industry. on social media, OTT, paid TV, generating sales of over 100M$. School. Skilled in Investor Relations, Advertising, Communication, Mobile Applications, and Media Relations. 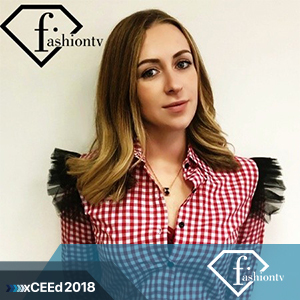 Natalya is the CMO for the new FTV Coin Deluxe, Fashion TV’s upcoming ICO, dubbed the biggest branded ICO. Throughout the last year, Natalya has been traveling frequently, as she’s in high demand as a speaker in conferences dealing with fintech, branding and media marketing. 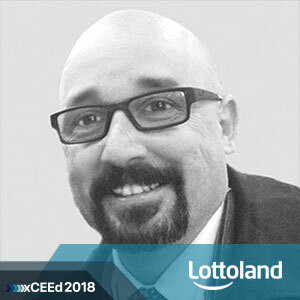 Vladan is financial expert with vast 20 years experience at executive level in private sector Finance management as well as Corporate banking. 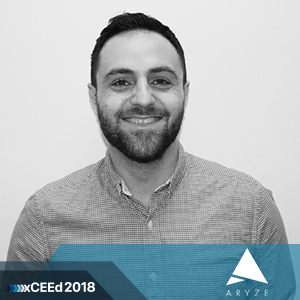 He has several years’ experience in the large retail chain organizations, responsible for finance processes efficiently and optimization, initiating permanent improvements of the processes in the companies and between. His main role is development finance strategy, managing finance and accounting as well as treasury and cash management function and controlling. He has been involved in merging business lines of two largest retail chain organizations in ex YU region responsible for finance operation strategy, national payments, investments and developing and managing process between finance division and accounting. Previously held senior position in Corporate banking sector, managing corporate regional centers with monitoring performance. I am a strategy and service design director focused on the creation and delivery of future-friendly, end-to-end B2B and B2C customer experiences and services that are insight-led and create value. I have extensive experience building and leading multidisciplinary design teams, facilitating the creation of collaborative environments, and the introduction and application of Agile methodologies. 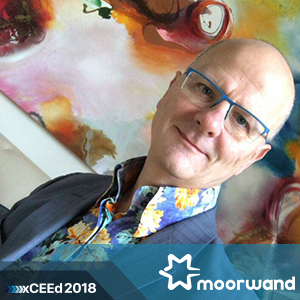 I have developed and actively participate in local and global user experience communities, nurturing talent, speak at leading conferences across the world, and I enjoy the opportunity to mentor the next generation of designers and thinkers. My background combined with my broad agency and client-side experience, allows me to engage with clients in a senior strategic advisory role, to retain teams motivated and inspired, and to efficiently deliver complex projects on time and on budget. Mrs. Maja Kadievska – Vojnovikj has been a Vice Governor of the National Bank of the Republic of Macedonia since July 2011, covering the Sector of Financial Market Operations and Payment Systems. 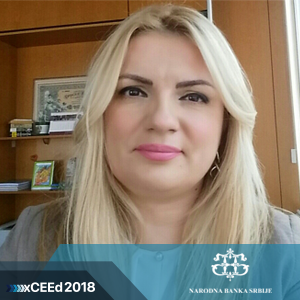 She is an Executive member of the Council of the National Bank of the Republic of Macedonia, Chairman of the Foreign Reserves Investment Committee and Chairman of the Assets and Liabilities Management Committee. Maja Kadievska Vojnovikj has 16 years of professional experience in areas of macroeconomic management, monetary and fiscal policy. She started her career in the Monetary Policy and Research Department. Her career has advanced through various research projects in the field of monetary and fiscal policy, household’s behavior, investment activity in the Republic of Macedonia, analysis of the external position of the economy, external solvency and foreign reserves adequacy. Throughout her professional career, Kadievska – Vojnovikj has attended around 30 professional trainings and workshops in the field of macroeconomics and finance and has participated, as panelist or delegate, in over 40 international conferences, symposiums and seminars convened by relevant international organizations, central banks, international financial institutions and other expert organizations such as the IMF, the US FED, the ECB, the World Bank, the BIS, the EBRD, the central banks of England, Switzerland and other countries from Europe, Asia and the region. Beyond her professional carrier at the National Bank of the Republic of Macedonia, in 2011, Maja Kadievska – Vojnovikj served as a President of the Commission to resolve complaints in the area of Securities’ Market and was a guest – lecturer at several faculties and events organized by non-profit institutions in Skopje. She holds an MBA degree from the University of Sheffield. Gerald has been involved in card acceptance in the petrol retailing arena for more than 18 years. He is currently responsible for card acceptance at MRH which is the largest independent petrol forecourt owner in the UK (more than 490 sites with brands of ESSO, BP, TEXACO, SHELL and JET) with an annual card turnover of circa £2.0b. 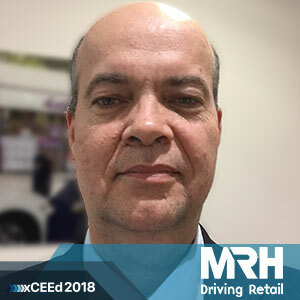 He was responsible for the development and deployment of a standard payment/reconciliation platform across these different fuel brands and currently manages both the technical solution and the relationships between MRH and all card acceptance acquirers/service providers. 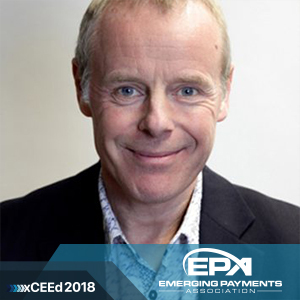 Gerald started his career working for Texaco and in 1999 was responsible for the development and deployment of a new card acceptance platform for Texaco dealer sites. Following this, Gerald took on increasing responsibility for card acceptance of Texaco/Chevron until he ultimately managed the entire card service including all supplier/acquirer relationships. 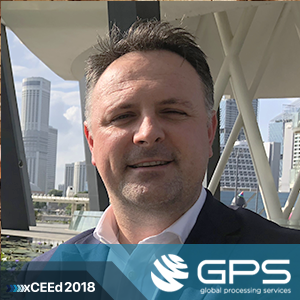 Gerald further developed the solution through chip and signature and then on to full chip and PIN, getting involved with negotiations with the bank acquirer along the way for reduced MSCs. During his time with Texaco he was also involved in various automation projects including pricing systems for both retail and commercial customers. He moved to MRH in April 2013 initially as a consultant, but took on the full responsibility for card acceptance and reconciliation in December of that year. Gerald is currently based at the MRH Epping offices. Kosta is a technologist, and his interests lie at the point of fusion between technology, finance and innovation. He is the author of “The Castle And The Sandbox”, a book explaining how to foster innovation in established companies (Amazon link – http://goo.gl/UGCYfx). 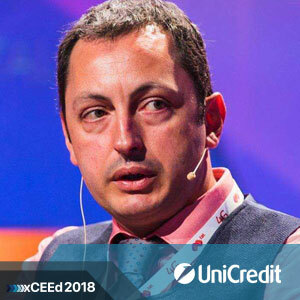 Kosta is currently Deputy Director, Financial Services for the Poor, at the Bill & Melinda Gates Foundation, where he leads the team that focuses on digital payments. 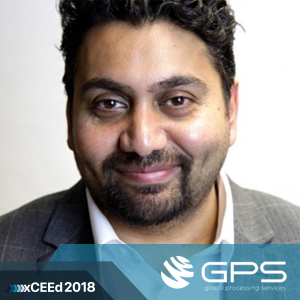 From governance through business models to technology, from ideas through architecture to development, he oversees the strategy and grants to deliver secure, reliable and affordable digital payment solutions. Previously, he was the co-founder and leader of Innotribe, the SWIFT initiative to enable collaborative innovation in the financial industry. At SWIFT, he was also the chief architect of SWIFTNet, the backbone worldwide secure network currently connecting 8,000 banks and 1,000 corporations, and servicing daily the world economy. 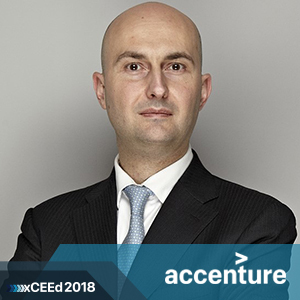 Francesco Burelli is the Global Payments Strategy Lead at Accenture Payment Services and he is a member of the First Annapolis team. He works across retail and corporate digital payments, cash management and distribution channel challenges to assist organisations with corporate and product strategy development and M&A. With over 21 years of payments and transaction banking experience, previously held senior roles with other advisory firms, before at Midland Bank -later HSBC- after his MBA in the mid-90s, transitioning from earlier TMT career. Fellow at the Institute of Financial Services, Francesco was awarded as Industry Consultant of the Year 2014 by the ATM Industry Association (ATMIA) and Mentor of the Year 2015 by Fintech Boothcamp. He is a member a number of industry editorial and advisory boards. He graduated from the Faculty of Economics at the University of Belgrade in 1994, obtained M.A. in Economics in 1998 and Ph.D. in economics in 2002. He is a member of the Economic Science Board of the Montenegrin Academy of Science and Arts. He is a Professor at the Faculty of Economics in Belgrade. 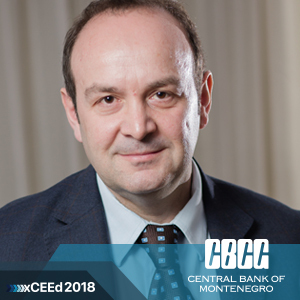 From 2004 to 2013 he was the Chief Economist of the Central Bank of Montenegro. Besides engagement at the Faculty of Economy in Belgrade, he was engaged in a number of higher education institutions. He worked as an team leader or a member of a project team on over 60 macroeconomic projects. He is the author or co-author of 14 books in the field of economy and he published more than 100 papers in the area of economic policy, financial systems, transition, foreign direct investments, etc. He is coeditor of Journal of Central Banking Theory and Practice and member of a few editorial boards of economic journals. Simeon began his career in payments in 2010. He spent 4 years at Barclaycard before moving to First Data in a Business Consultancy position. In late 2015, he joined PayVector (now acquired by ai) in a senior business development role. 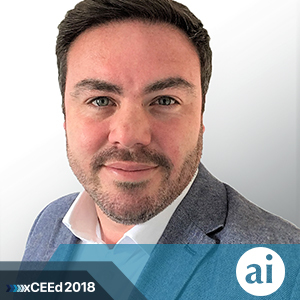 Since joining ai he has played a key role in developing omni-channel payment solutions that ensure frictionless face-to-face payments for global merchants, with fully integrated fraud protection. Simeon’s passion is helping his clients utilise the data available to empower them to make business decisions that not only protect revenue, but generate further opportunities. Simeon is currently working with some of the worlds leading Oil Companies to develop their B2B and B2C payment strategies. 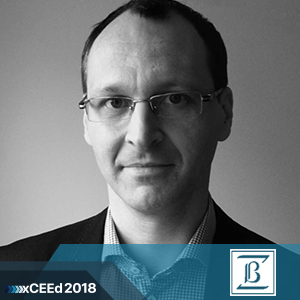 Maciej Kostro – Board Advisor in The Polish Bank Association, Secretary of the Electronic Banking Council and responsible for the API standardisation initiative (Polish API). Maciej Kostro led or participated in projects for leading Polish financial brands such as mBank, PKO Bank Polski, BGŻ BNP Paribas, Bank Pocztowy, Raiffeisen Bank or UNIQA as well as fintech companies (eg. fintechAPI) in the area of open banking. The Polish Bank Association (ZBP) – Self-government organization of banks, established in 1991, founded on the Chambers of Commerce Charter. Membership in the ZBP is voluntary and open to all banks created under the Polish law as well as for foreign credit institutions branches operating in the Republic of Poland.The Association of Polish Banks is a member of the European Banking Federation, the International Association of Banking Security and the European Payments Council.The Polish Bank Association is the initiator of the creation of the standard for open banking API in Poland (Polish API) in accordance to the PSD2. Gavin Littlejohn is a fintech entrepreneur with experience of developing innovative solutions to mass market problems. ​Gavin was appointed as Convenor of the Fintech Stakeholder Group of the UK Open Banking Implementation Entity in October 2016. He serves as a Director and Non-Executive Chairman of the Financial Data and Technology Association www.fdata.org.uk where he successfully led the campaign to have account aggregation added to PSD2. Gavin is well-renowned as the Founder of Money Dashboard, and acted as its CEO until July 2015. Aleksandar has been involved in virtual currencies since 2007 when he co-founded a local e-gold exchange. In 2011, he first learns about bitcoin and in 2012 his focus shifts completely to cryptocurrencies and blockchain technology. That same year, he co-founds a local bitcoin exchange www.ecd.rs. His company also operates a network of cryptocurrency ATMs, has developed a cryptocurrency payment application for merchants and has initiated the founding of Serbian Bitcoin Association. In 2014, Aleksandar enrolls in world’s first MSc in Digital Currencies at University of Nicosia. Two years later, he becomes one of the first graduates of that course. 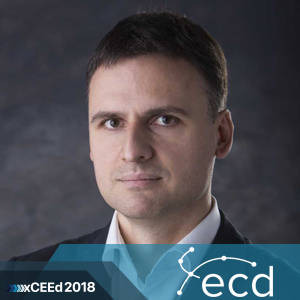 Aleksandar is a regular speaker at events that cover blockchain and cryptocurrency industry. His aim is to spread awareness and promote safe and responsible use of cryptocurrencies and blockchain technology. He strongly believes that blockchain and cryptocurrencies will change the world and tries to be an active part of that revolution. Building real solutions for Blockchain. Working with clients worldwide to help them develop strategies that deliver substantial and sustainable growth. 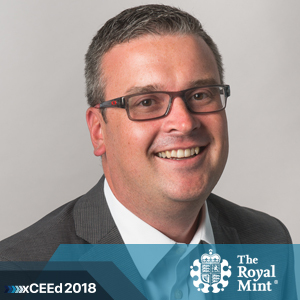 Previously Director of New Ventures at the Royal Mint, building a consumer bullion division, wholesale vaulting business and the architect of RMG, a blockchain enabled global gold solution. Previously held roles as Head of Strategic Marketing, Head of Product and Head of International Sales. In this capacity he is board-level advisor to banks, national and international associations for example the European Commission, the EPC (the decision making body of the 8000 banks in the 31 countries of Europe), the EACB (4056 banks with aggregated assets of 7 trillion€ and their 210 million customers throughout the EU), the ERPB (the key European multi-stakeholder strategy board chaired by the Executive Board of the European Central Bank ECB) and further major national and international boards. He is widely published (and cited/translated into many languages including German, Italian, Dutch, Finnish, Polish, Russian and Japanese) and appears regularly as keynote speaker at leading events and across all print, broadcast and electronic media. 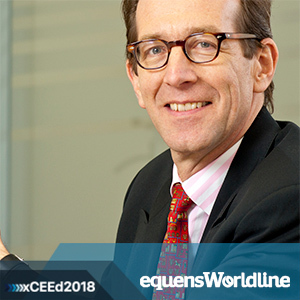 He is executive adviser to the BoD of equensWorldline, Europe’s leading payment provider that processes over 17 trillion Euro per year especially on topics such as Payments, Digital Finance, Open Banking, SEPA, PSD2, Digital Identity, FinTech, Mobile services, Supply Chain Finance, Cybercrime, European Legislation and Innovation management. Previously he was IBM’s Director of Market Development Media and Communications Technologies and studied at Cambridge University, UK. 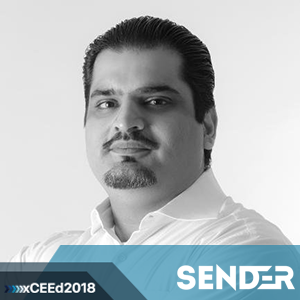 A committed expert that simplifies the world of payments with over 14 years of experience in developing products and services that focus on the customer’s current and future needs, with a deep understanding of customer behavior. Solution driven Innovator who turns payments into a source of competitive advantage, with a proven track record of results in card issuance starting from acquiring the very first customer to having hundreds of thousands within a very short period. Building and developing an award winning brand from concept to International roll-out, considering how the brand will be accepted and viewed with an international audience. A substantial understanding of card issuance, throughout its complete value chain with strategic knowledge on what works and does not work in various international markets. As a member of the UK Contactless Advisory Committee, Suresh worked with TFL to pilot some of the first contactless form factors on the London transport network. In 2011, Suresh launched the first ever contactless wristwatch in the UK. This is in addition to being responsible for launching the first App controlled NFC solution for i-phone in Europe. At the end of 2014 Suresh was elected to join as Advisory Board member for the Emerging Payments Association. .
Specialties: Card Processing for Prepaid, Credit & Debit, Pre Paid Card issuance ,Host Cloud Emulation, Digital Enablement Service (MDES), Remote Secure Element, E Wallets, E Commerce Payments, Closed Loop/Open Loop products, Private Label Cards, NFC Form factors, Micro SD NFC – Mobile payments, OTA provisioning, TSM, Agency Banking, Card manufacturing/designing, Marketing (Online/offline). Transport and ticketing, BIN Sponsorship. Private Label Cards, Card Data Mining. Chief Growth Officer at Temenos’ Marketplace, Founder and Author of “Emotional Banking – how to change banking culture to leverage FinTech”. on the strategy and consulting side, be it for sales or marketing. Formerly an Oliver Wyman consultant and part of the Google Finance team, Daniel started working in FinTech as a venture builder, sourcing and developing new ideas in the team that started companies like Clearscore and SalaryFinance. In SalaryFinance he helped plan the Marketing, Risk and Finance strategy, moving into the full time position of Finance Director as he fell in love with the company’s mission. In this role he helped to raise the Series A round in 2017 lead by Legal and General, built the finance team and infrastructure. He is currently transitioning to International Director, leading the efforts to expand SalaryFinance into the US, and in the future to other countries where the model would help employees get a fairer access to credit. 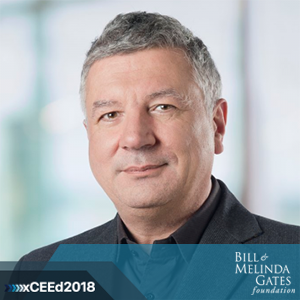 Filip Genov is a senior banker with 25+ years of executive experience in the CEE markets, where he initiated and created a wide array of innovations, new business lines, products and companies. 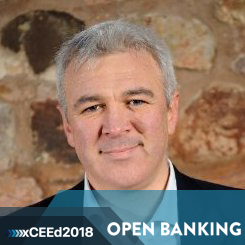 In his current role he founded and leads the first banking VC operation in Bulgaria, where he has also been the creator and executive director of the market’s first factoring company, founder and director of the leading corporate and international banking operation and launched several fintech and business innovations. In 2003-2015 Filip has been was leading business development projects and initiatives for UniCredit Group throughout Italy, Germany and Eastern Europe. In 2013 he became the first Eastern European manager to be elected to the Executive Committee of the Factors Chain International in Amsterdam, focused on innovations and R&D. In 2017 he founded and leads Sophia Lab – a corporate-driven think tank for national growth and development with a dual focus on analysis and impact. 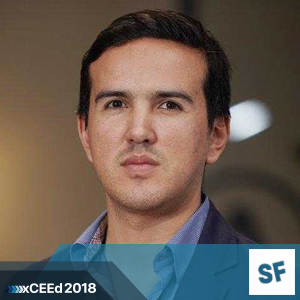 Filip is an avid supporter, business angel and mentor in the startup community and he also serves on the Board of the Cedar Foundation, which takes care of disadvantaged children and adults. Filip holds an MBA from NYU Stern School of Business and the London School of Economics, an executive master from SDA Bocconi and a master degree in International Business from the UNWE in Sofia. 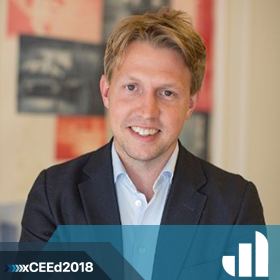 Daniel Kjellén is co-founder and CEO of Tink, a fintech with the goal of helping people understand their finances, empowering them to make smarter decisions and ultimately bringing financial happiness. Founded in 2012, Tink’s award-winning consumer app has now gained over 500 000 users in Sweden. Since 2017, the underlying technology including account aggregation and personal finance management is being licensed, enabling banks to create next-generation banking services. Prior to Tink Daniel worked as investment banker at Carnegie, the Nordics’ leading investment bank, and also founded the corporate domain name company Prodocon. 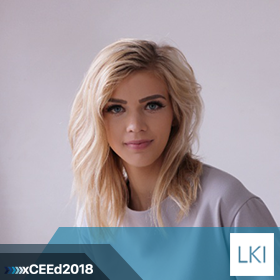 Laura K. Inamedinova is a founder of international marketing, PR and communications company LKI Consulting that is focusing on fintech and crypto companies. Laura helps companies understand what are their marketing goals and what kind of communication they seek and later on, if needed, implement it. She has helped ICO companies raise more than $100M USD in total. Miss Inamedinova also shares her expertise about fintech marketing in her columns at Forbes and Huffington Post. Besides that, she frequently appears in local and international conferences where she touches important issues like advocating for bigger women involvement in the technology sector. She has been quoted in various publications, such as Huffington Post, Entrepreneur, Venture Beat, etc. Laura has also been actively involved in various NGOs – she is a member of World Economic Forum Global Shapers Vilnius hub. Laura holds a Bachelor of Physics from Vilnius University. During her time in the university she was a member of Physics faculty student association. Jack Nikogosian is a Danish blockhain expert with a vast knowledge of the cryptocurrency space. In 2015 he became internationally known as Bitcoin Jack after paying solely with Bitcoin for an entire month. With his outgoing personality and quick thinking, he delivers inspiring stage presence and has displayed his capabilities at numerous European expos and conferences. Professionally, he has worked with major players in the Danish crypto/payments arena. With a vision of making payments faster, cheaper and smarter he founded the fintech company ARYZE in 2017. With a great insight in terms of trends within cryptocurrency, blockchain technology, digital payments and tokenization Jack has the unique skill of being able to combine new technologies. 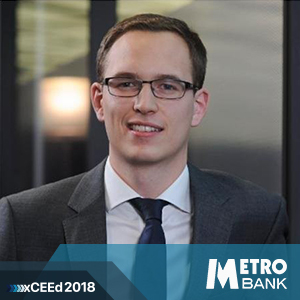 Jakub Piotrowski has over 10 years’ experience working in financial services and fintech. He joined the company in 2015 and initially worked on integration projects. 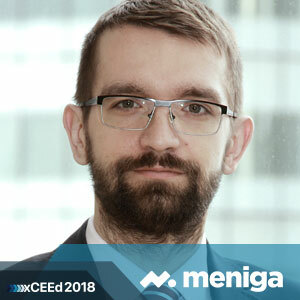 Prior to Meniga, Jakub was working in Digital practice at Accenture, managing transformation projects for banks in Central Europe, including Meniga implementation at mBank in Poland, Czech Republic and Slovakia, PFM implementations for Intesa Sanpaolo and HVB (UniCredit Germany). Prior to that he was working with corporate banks on projects related to cross-border clearing and settlement processes and core platform transformation. Jakub holds a MSc and BSc diplomas from Warsaw University of Technology (majoring in Computer Systems Networking and Telecommunication) as well as post-graduate degree from SGH in Management and Financing in Aviation Industry. Ms. Dragana Stanic graduated from the Faculty of Economics – University of Belgrade, where she later majored in Economic Sciences. Ms. Stanic joined the National Bank of Serbia in 1998, working her way through the Monetary System Department. In 2002 she was appointed into the strong working group tasked with the national payment system reform implementation. She moved to Payment System Department in 2003, where she was advisor before undertaking managerial position in one of the units, followed by taking on the duty of Deputy General Manager. In 2015, Ms. Stanic became General Manager of the Payment System Department. Ms. Stanic was heavily involved in reform process aimed at introducing the most modern practices into the domestic payments legal framework. The Law on Payment Services provided legal basis for the introduction of e-money institutions into the domestic legal system, sending a strong competitive impulse to banks, since banks are now faced with stronger competition in the form of e-money and payment institutions. Ugur Yildirim is a prominent international businessman with over 15 years of investment management experience. A renowned speaker, Ugur was invited to appear as a panellist at “The Future of Money and Technology Summit” in San Francisco, USA, which was held in December last year, to talk about the future of fintech and tokens. In March, Ugur was a panellist at the Digital Finance World Conference in Frankfurt, where he presented the effects of blockchain on the global economy, focusing on its future in the financial sector. In terms of future engagements, Ugur is scheduled to be a panellist at the Day of Slovenian-German Business, which is being organised by The Slovenian-German Chamber of Commerce. In May, Ugur will attend Fintech World Forum 2018 in London as well as The Money20/20 Europe in Amsterdam the following month. In addition to Ugur’s responsibilities as Hive Project’s Chief Financial Officer (CFO) and member of the Hive Project board, Ugur is also a co-founder and partner at Elements Capital Partners, a firm which specialises in distressed investment opportunities and turnaround cases. Trusted by leading institutional investors around the world, Ugur currently advises and manages approx. €800 million of NPL transactions in Eastern Europe. As well as having led various asset management company start-ups in several countries throughout South Eastern Europe, Ugur is also a member of several advisory boards of regional business councils and is a founding member of the Slovenian chapter of the Turnaround Management Association (TMA). Ugur graduated in mechanical engineering from Istanbul Technical University, completed his MBA at Ljubljana University, and attended the Executive Program in Private Equity and Venture Capital at Harvard Business School. Ugur has also served as Vice Chairman of the Board of Directors at Alpen Invest and was chair of the supervisory board at Neta Capital Croatia.